Thank you Rob for this excellent summary of the unanswered questions in this case. Every single one of these points needs asking by our MSM (fat chance). The fact that they are not asking them makes the whole episode stink to high heaven. 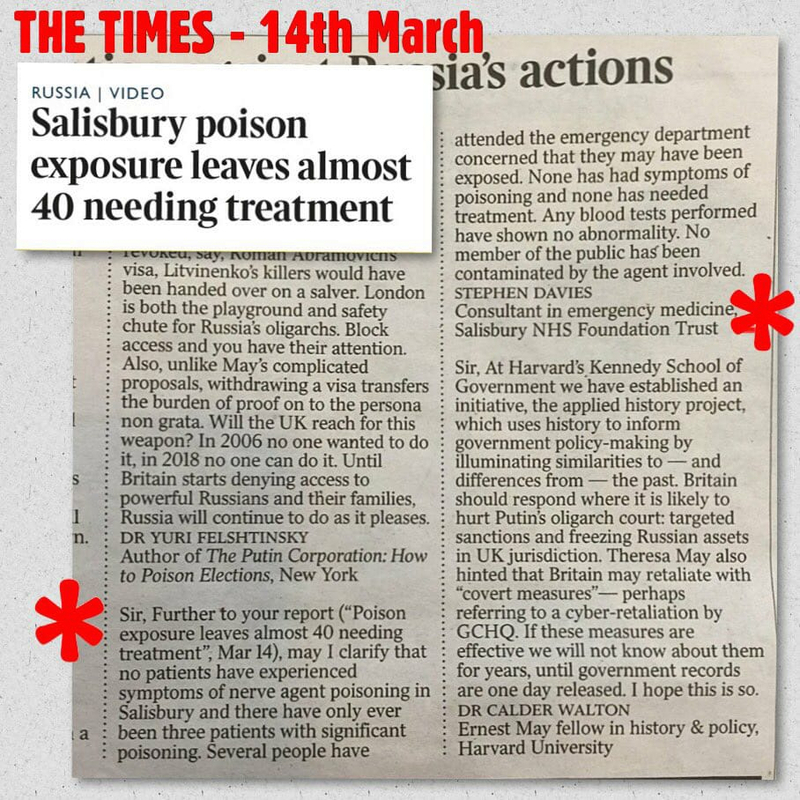 In relation to your last point about Pablo Miller I’d just like to mention that in the photograph published in many newspapers of the Skripals having a drink in the pub? restaurant? just before they became ill, you can see reflected in the mirror the person taking the picture. There have been suggestions that this is indeed Pablo Miller but again there seems to be little interest in this figure from our so-called investigative journalists.